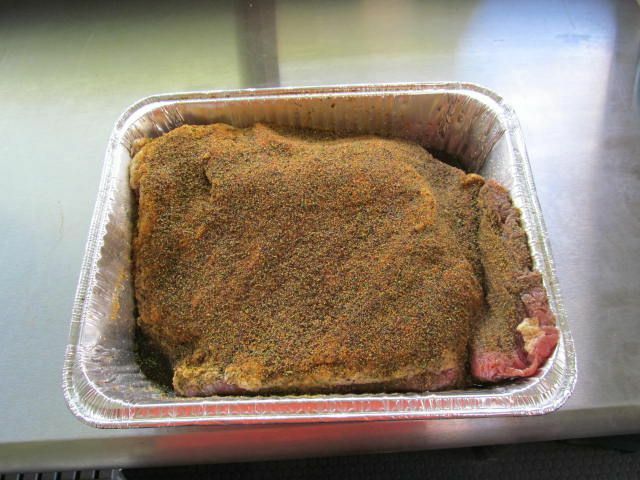 After injecting, the brisket received an even coat of Oakridge BBQ Santa Maria rub. 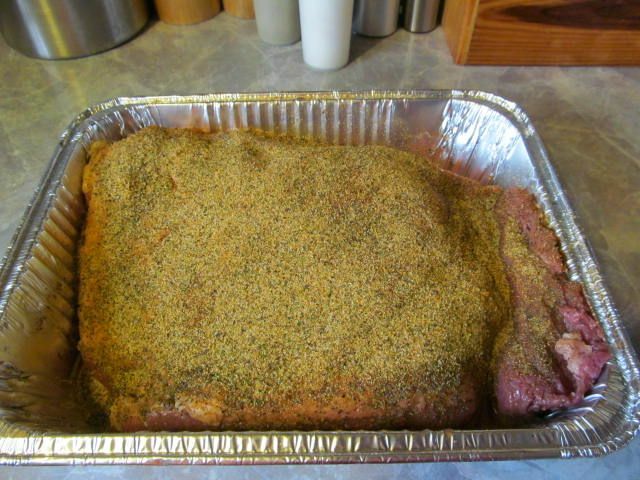 Then, I covered with foil, put the pan in the refrigerator, and let the brisket get happy over night. Total happy time was about 12 hours. 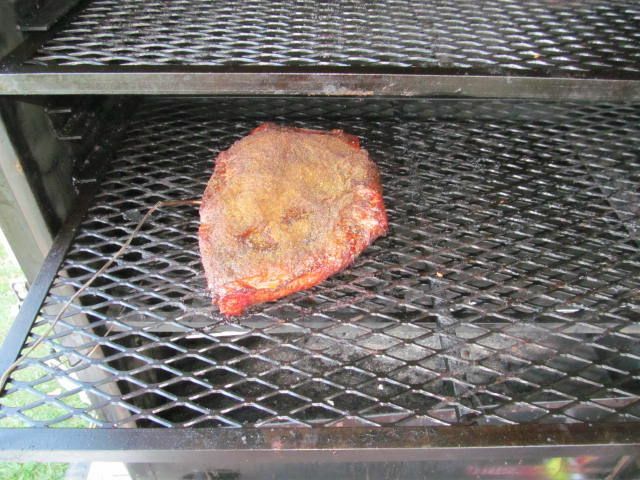 After three hours, I flipped with the fat side down until the internal temperature reached 165 F.
Once the internal temp hit 165 F, I placed the brisket in a pan with 1 cup of beef stock, covered with foil, and placed back in the smoker until the internal temp hit 195. 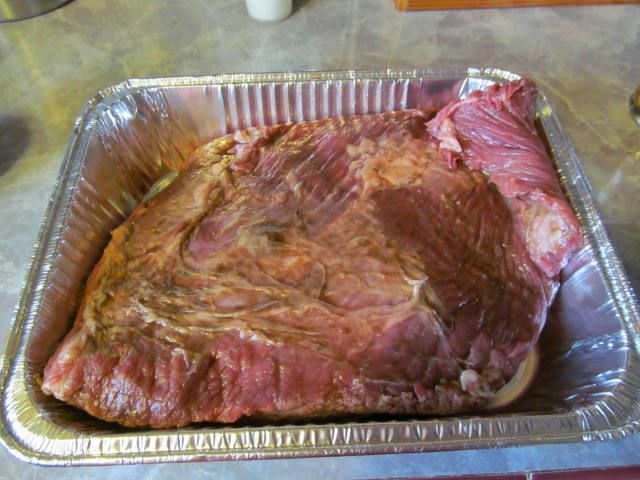 Once the brisket hit 195 F, I wrapped the pan in towels and let rest in a cooler for three hours. 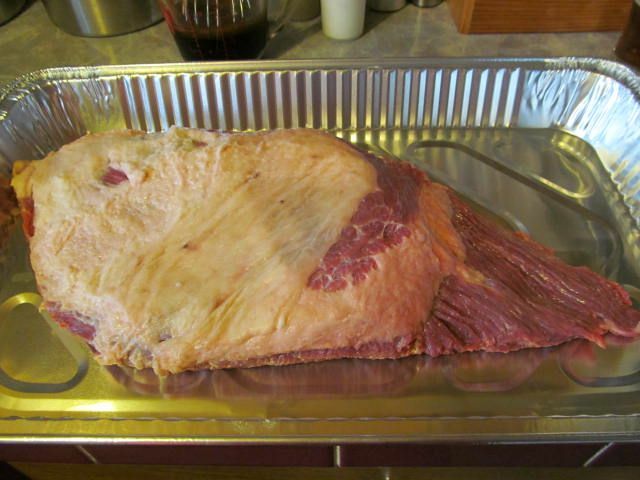 The brisket needed 7 hours to get to 195 F. So, total time, with resting, was 10 hours. Yes, I know. Some of the slices are a bit thick. 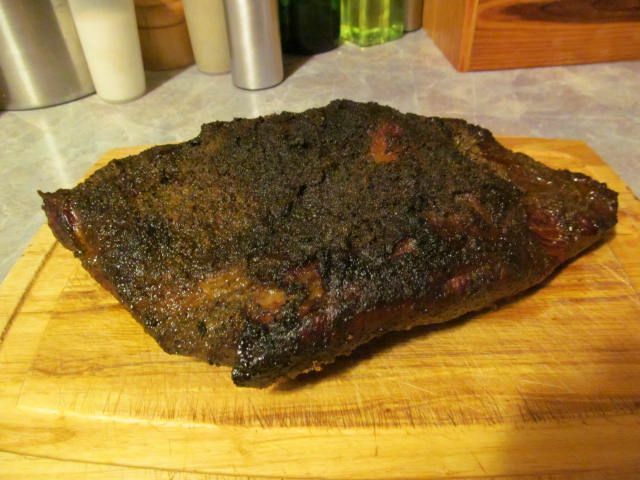 It was late, I was tired, and I didn't feel like digging for the electric knife. What I can tell you is that the flavor was outstanding. 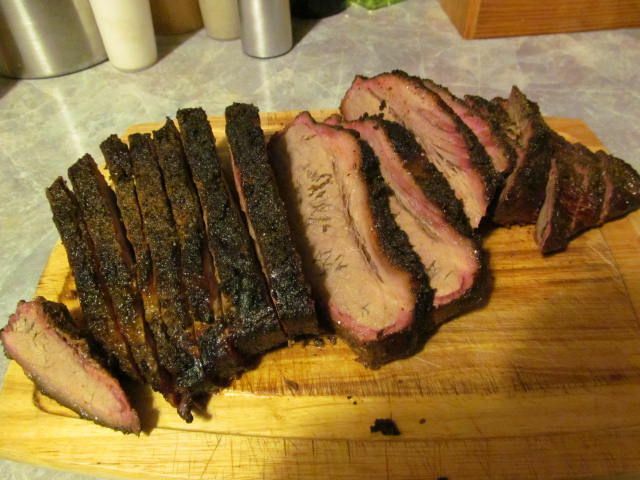 Not as tender as I would have liked, but tender enough. 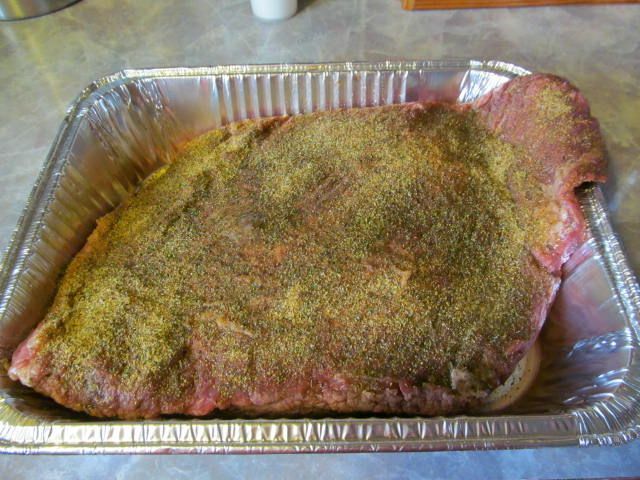 I can't rave enough about the Oakridge BBQ Santa Maria seasoning. I loved the package from the sampler pack so much, I went out a bought a pound. 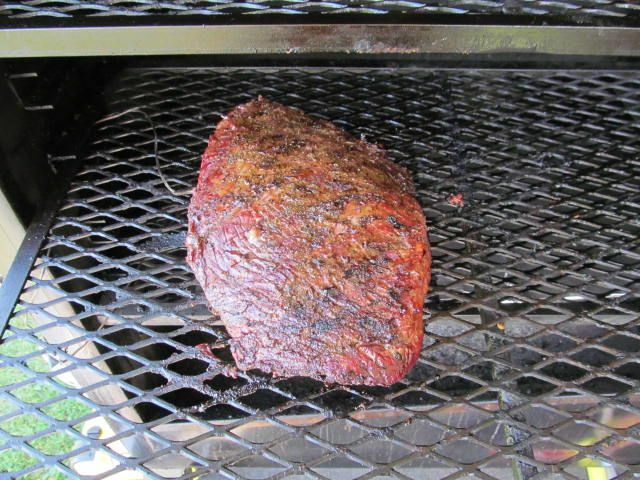 I also reserved the Au Jus for later. I am going to experiment with that later this week. I'll report back then.